Being an eminent company, we are involved in offering unmatchable quality of Granules Pouch Packing Machines. The offered Granules Pouch Packing Machines are extensively used in several industries for packaging of granules and snacks. These products are available in market at most reasonable prices. 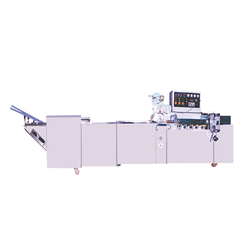 In order to keep pace with the never-ending demands of customers, we are involved in offering a wide range of Vanaspati Pouch Packing Machine. Given our vast industry experience and expertise we are offering Ginger Garlic Paste Packing Machine to our clients. Offered range works in flawless manner for long time period. It has got excellent functionality and is appreciated for excellent mechanism. It can be easily installed. It can be said as Packaging Machine as well. 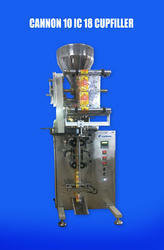 We supply pouch Packing Machine's for packing the cashew kernels, Range: 50gms - 5kgs.